Greetings to one and all. The summer is now officially over and the children are going back to school. There is usually a lot of anxiety and confusion as they go into their new grades, meet the new teacher, meet new friends and leave the old ones behind. While it is great to get back into a routine after a long, care-free summer, it can be hard settling into a new school or class. Back to school anxiety, picking up germs and the dreaded head lice are all challenges parents and students are faced with at this time of year. 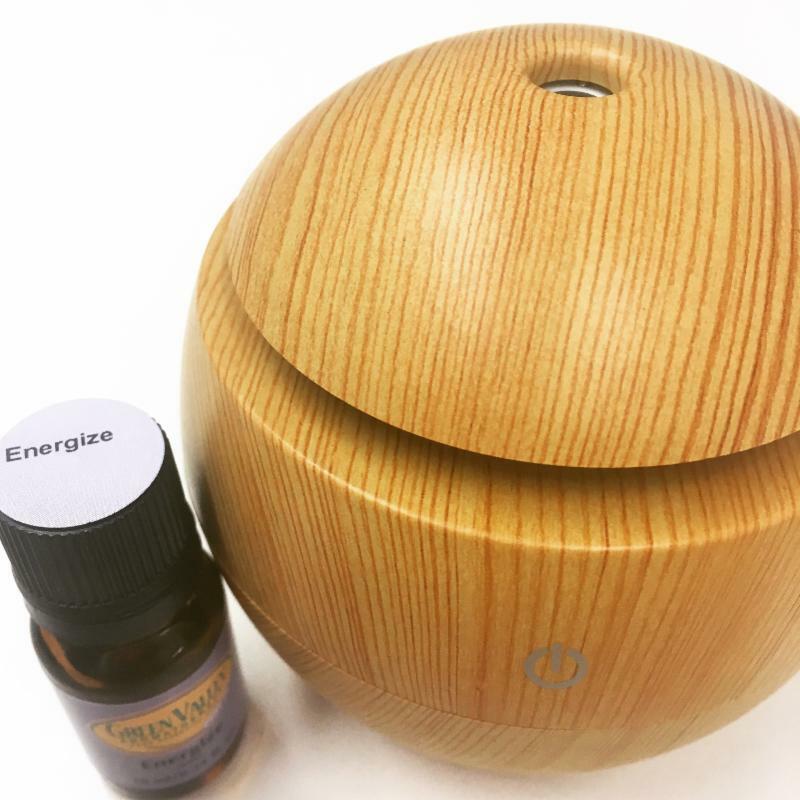 To reduce stress, add a couple of drops each of Bergamot essential oil and Lavender essential oil to your aromatherapy diffuser. This will be a relaxing welcome for everyone who comes into your home and will help to conquer any viruses brought in. You can add 6 drops of Lavender essential oil to your child’s bath. This will help to reduce anxiety and can help them sleep better. Adding essential oils, such as Tea Tree essential oil, to children’s runners, hockey kits, back packs and clothes not only creates a nice aroma, but surrounds them with an anti-viral, anti-anxiety, and anti-bacterial substance to help protect them from infections and build up their immune system. PS There is an important announcement at the bottom of this newsletter regarding our website. 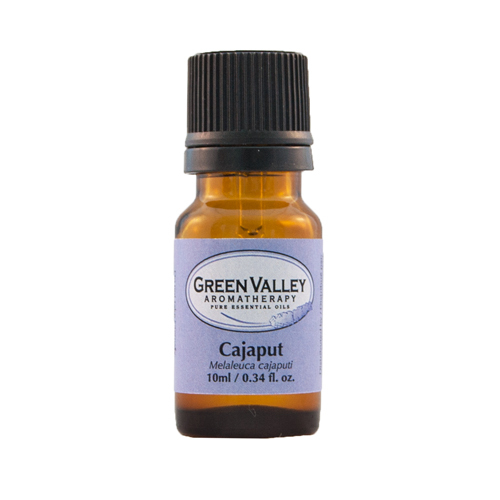 Cajaput essential oil is a top note and is steam distilled from the leaves and twigs of the tree. If you look at the botanical name of Cajaput, you will notice that this oil is a relation of Tea Tree and has very similar properties. It is said that Cajaput essential oil is good for repelling lice and fleas, although I have not tried it. As I get older I find that I turn to Cajaput as it is anti neuralgic. Nerve pain seems to be more and more a part of my life now. Analgesic, carminative, decongestant, stimulant, expectorant, calming and balancing are all components of Cajaput essential oil. This is all you will need to fight the going back to school infections, winter colds and flu. Cajuput essential oil is one of the most powerful stimulants so do not use it before going to bed and remember that it can be a skin irritant. This is a valuable oil when used properly. Just be aware of the contraindications. Green Valley’s Terminator blend is based off of the ancient Thieves’ Oil and contains Camphor essential oil, Cinnamon essential oil, Lavender essential oil, Nutmeg essential oil, Rosemary essential oil and Sage essential oil. We created this blend to help ward off germs and to help naturally boost the immune system. Camphor essential oil is good for generally keeping infection down, but it can also help clear congested lungs and help to ease breathing. Cinnamon essential oil, Lavender essential oil, Nutmeg essential oil and Rosemary essential oil are all natural antiseptics. Lavender essential oil is also a natural antiviral and respiratory stimulant. Terminator is a great back to school blend. Diffuse it in your home to combat the viruses that are around this time of year. You can add it to a tissue to put in back packs, sports bags and coat pockets. Jojoba oil is obtained from the Jojoba plant which is an evergreen tree that grows in hot places such as Arizona. The oil comes from the seed stock. Jojoba is not a true oil, but rather a kind of liquid wax. Jojoba oil contains proteins, minerals, plant wax and myristic acid. It is pure, hypoallergenic and is not a nut-based oil. Jojoba’s structure is very similar to our own skin’s natural sebum making it excellent for all skin types. It is easily absorbed and has a softening effect. Jojoba oil has good results when treating eczema and psoriasis and it is not too oily. Being anti-inflammatory, antibacterial and non toxic makes Jojoba a great conditioner for your hair and body. 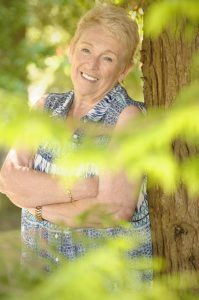 By improving your own natural collagen, Jojoba will help stop those darn wrinkles that creep up on you as you get older. The shampoos, conditioners and skin moisturizers that you purchase from stores are usually packed with chemicals and harmful substances that I cannot even pronounce. These tend to dry out your skin and hair. Jojoba has a high quantity of ceramides which control the hydration needed for youthful, dewy skin. Jojoba is very good for people with skin problems, for example, acne. 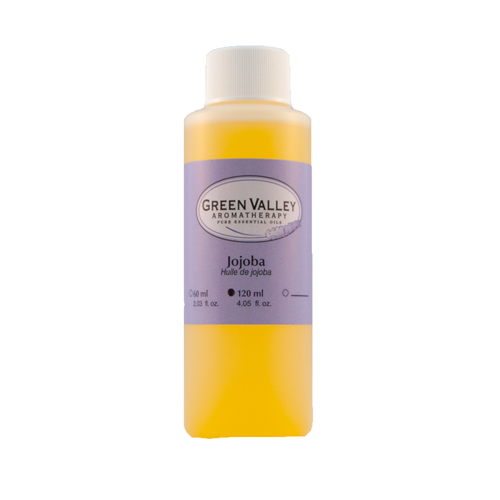 Jojoba will open up the blocked pores and clean out the bacterial substance that creates the spots and blemishes. Used on a regular basis, Jojoba will help minimize the pore size and manage oil release. the winter blues, going back to school after the long holidays, warding off all the germs that are going around and building the immune system. Do not use on babies under 2. Green Valley Aromatherapy is in the process of making a new website. We are hoping that the new design will be easier and more intuitive to use.